Why Call a Florida Accident Attorney | Law Office of Andrew G. Rosenberg, P.A. You deserve to make a fair recovery for your accident injuries. However, the insurance company doesn't want to provide you with this fair recovery. Instead, it's the insurance adjuster’s job to maximize the profits of the insurance carrier by paying out as little as possible in accident claims. This includes yours. Insurance adjusters are skilled at their jobs and know what tactics to use to get you to accept the lowest settlement offer possible. If you're unfamiliar with the process and have a lot of other things to do, it can be difficult to avoid making a mistake that could impact your financial recovery. Fully investigate your accident and gather relevant evidence. Negotiate with the insurance adjuster. Identify what realistic and fair compensation would be for your claim. Make sure you file a complaint in court and pursue legal action if an insurance settlement is unlikely. An accident lawyer can remove all of the uncertainty and stress from your shoulders so you're able to concentrate on your physical recovery and on other important aspects of your life. Some people hesitate to contact an accident lawyer because they think it'll cost too much. However, the opposite may be true. It may be more expensive to handle a car accident yourself than it will cost to hire a lawyer. Representing yourself in an accident injury case may leave potential compensation on the table rather than in your pocket, and you may unintentionally make mistakes that prevent your full recovery. 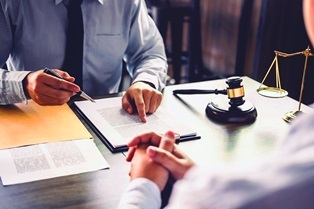 An attorney can help prevent any mistakes and secure fair compensation for your past and future medical expenses, out-of-pocket costs, lost income, physical pain, and emotional suffering. To learn more, please contact the Law Office of Andrew G. Rosenberg, P.A. today for a free confidential consultation about your rights and potential recovery.